These hard-working boots never clock-out, even if your shift turns into a double. Our exclusive Vibram® ATS (All-Terrain Sole) provides exceptional traction on any surface. GORE® CROSSTECH® triple layer moisture barrier is the toughest in the industry. 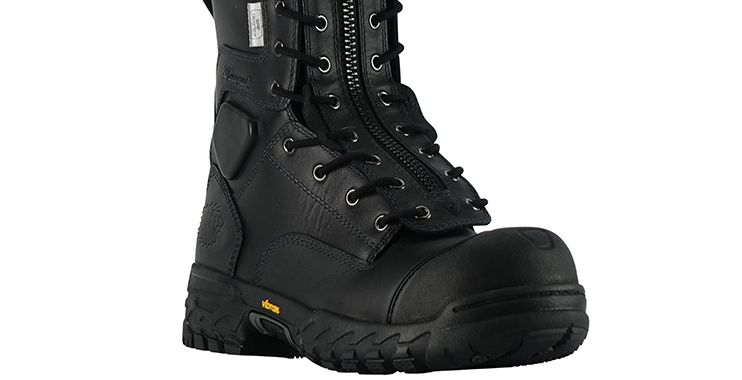 Safety features include a flexible Lenzi L-Protection puncture-resistant insole, triple-rib ladder shank and composite safety toe. These station boots are EMS and Wildland firefighting certified for the person who has to be prepared for everything. Not designed for NFPA 1971 structural fire fighting.